Will Davison topped a session for first-year Supercars outfit Milwaukee Racing for the first time in Practice 3 for the Perth SuperSprint. 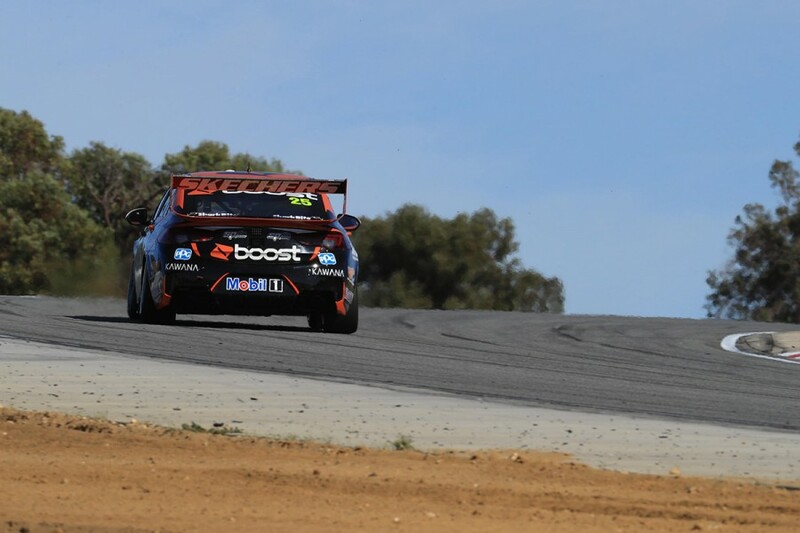 Davison led the way at Barbagallo Racing on Saturday morning, ahead of Mobil 1 Boost Mobile Racing team-mates James Courtney and Scott Pye. Seven-time champion Jamie Whincup was only 25th, as teams used a variety of tyre strategies through the 20 minutes of running. A 56.0217s from Shane van Gisbergen on his first run proved the time to beat until McLaughlin turned a 55.8983s to move up from 19th with seven minutes remaining. McLaughlin looked set to improve on that four minutes later, having been up by four tenths through the first two sectors. However he locked the left-front wheel under braking at the final corner, veering off the edge of the track surface and firing off and through the sand trap. Davison was on a flying lap at the time, clocking his 55.2847s moments later to take top spot. One of the 16 drivers contesting the first phase of ARMOR ALL Qualifying later on Saturday based on yesterday's times, Davison finished Practice 3 0.1836 seconds clear. “It’s a big tyre game here. We held back a little yesterday, it’s just hard to know what’s going on,” said Davison. “We still have a set in our bank left for tomorrow, but we put our best tyre on then, just trying to get a read on the balance prior to qualifying, which is crucial. “The track is always quite good in the morning, but we made quite a few changes overnight and I think we improved some things. “We can still tune it up a little bit for sure, but it’s great for the team, the first time we’ve topped a session. Courtney made his move up the order just after Davison completed his lap, with team-mate Pye then slotting into third from 22nd place in the final minute. 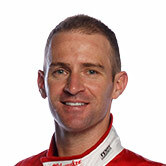 Pye and Fabian Coulthard were nearly six tenths off the time set by Davison. Friday pacesetter McLaughlin and van Gisbergen wound up fifth and sixth, ahead of Andre Heimgartner in the top Nissan. McLaughlin explained that his Turn 7 off - a corner where he made two mistakes yesterday - was the result of a simple error. “The aim was to go deeper, but not 25 metres deeper and I just went way too deep,” he said. “I actually locked the left-front on the white line, trying to open the corner up. The Commodores of Nick Percat, David Reynolds and Tim Slade rounded out the top 10, with Reynolds’ team-mate Anton De Pasquale the top rookie in 12th. 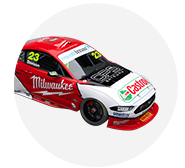 Second in the championship, Reynolds will also have to contest Q1, along with Craig Lowndes, who finished Practice 3 22nd. Behind Lowndes, Whincup and Mark Winterbottom filled the bottom two places. “The car’s good, we’re chipping away at our plan,” Whincup said. "Everyone used different tyres then, it was crazy, normally we’re all fairly well aligned,. The three-stage qualifying for Race 11 of the Virgin Australia Supercars Championship starts at 11:55am local time.